Twan van den Broek: SAP communities ROCK! What could possibly motivate 70+ people to come together on a Saturday in Eindhoven? 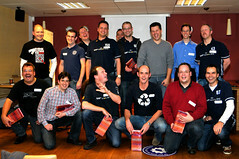 Share passion with 70+ geeks and peers? 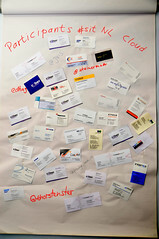 Exchange business cards from 30+ different companies? Attend one of the 14 expert sessions? Meet with one the 11 (!) SAP Mentors? Shake hands with one the 5 DemoJam heroes? It was - of course - all of the above. And it was a blast; the third SAP Inside Track in the Netherlands proved once again that the SAP community rocks! Please continue reading on my SDN blog. It contains 2 interesting tweets and 17 replays of the day.